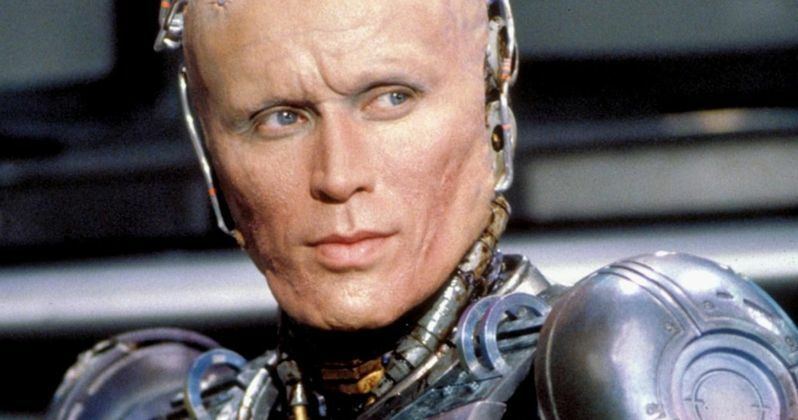 Could Peter Weller be reprising his most iconic role in Robocop Returns? The original RoboCop remains a true classic and a movie that is still beloved by many all these many years later. While a great deal of that is owed to director Paul Verhoeven's vision on display in the 1987 sci-fi action flick, Weller's performance as Alex Murphy also holds a lot of weight. Now, we have word from director Neill Blomkamp that his upcoming sequel could possibly bring back the actor for one more go as RoboCop. It was announced last month that RoboCop Returns, which will serve as a sequel to the original, is to be directed by Neill Blomkamp, known best for his work on movies like District 9 and Chappie. The script comes directly from franchise creators Ed Neumeier and Michael Miner and is currently being rewritten by Justin Rhodes. This is going to be a true sequel and not a reboot, at least not in the traditional sense. As such, it would make quite a bit of sense to bring Peter Weller back. Blomkamp seems to agree with that sentiment. Recently, musician Dimitri Vegas, who had just rewatched the original RoboCop, was pondering the cast for the new movie on Twitter. "Can't wait to see the @NeillBlomkamp twist ... who should play Robocop though?" Blomkamp responded with two very simple words, making it clear that he wants to honor the legacy of what has come before. This does get down to semantics a bit. Should Peter Weller play the part in RoboCop Returns? Considering that it's a sequel to the original, absolutely. That's what Neill Blomkamp is saying here. But will he? That question is far more difficult to answer at this point in time. Peter Weller still acts very regularly. Some of his recent credits include roles on shows like The Last Ship, Longmire and Sons of Anarchy. However, he hasn't played the role of RoboCop since the first sequel was released in 1990. Robert John Burke took over the role for RoboCop 3 in 1993, with Joel Kinnaman stepping in for 2014's reboot. Not only has Weller not played the role for quite some time, he's also 71-years-old now. Neill Blomkamp has already promised this movie will be an R-rated, blood-soaked explosion fest, and that might be difficult for a guy like Weller to pull off. Still, it's possible that Peter Weller could show up and pass the baton or something along those lines. Even though it might not be totally realistic, the idea of the original RoboCop possibly returning is hard not to get a little excited about. RoboCop Returns doesn't currently have a release date, nor is it clear when exactly the movie will enter production. Hopefully, we'll get some official casting announcements sooner rather than later. You can check out the exchange from Neill Blomkamp's Twitter account for yourself below.